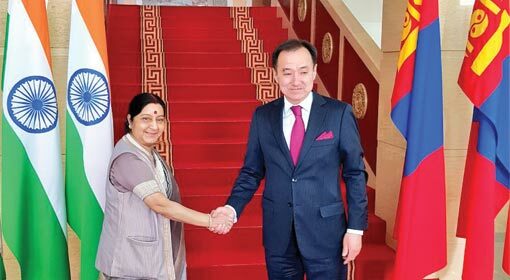 Indian Foreign Minister Swaraj is the first Indian Foreign Minister to visit Mongolia in the last 42 years. After the bilateral talks with the Mongolian Foreign Minister D. Tsogtbaatar, Foreign Minister Swaraj met the Mongolian Prime Minister ‘U.Khurelsukh’. The India-Mongolia cooperation dates back to more than six decades. 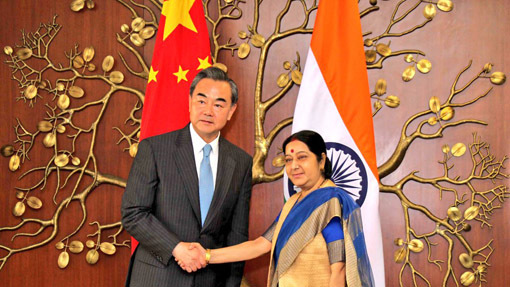 The cooperation has only strengthened with time, said Foreign Minister Swaraj. Over and above the cooperation against terrorism, an announcement was made that decision to increase cooperation in the Infrastructure, Energy, and Information technology sectors has also been taken. There was also a decision to start direct flights between New Delhi and Mongolia. It has been decided to have a regular dialogue at the foreign ministerial level to strengthen the cooperation, informed Foreign Minister Swaraj. 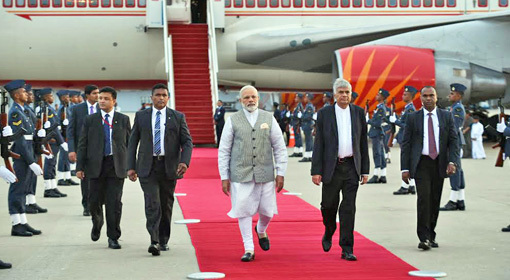 Prime Minister Narendra Modi had visited Mongolia in 2015. This was the first visit of an Indian Prime Minister to Mongolia. Prime Minister Modi had announced loan assistance of $1 billion to Mongolia during his visit. This visit by Indian Foreign Minister Swaraj is considered important for further strengthening the cooperation initiated by Prime Minister Modi’s visit. China has many a times cornered this country situated to its north. Upset with the Tibetan priest Dalai Lama’s Mongolia visit two year ago, China had created an economic blockade for Mongolia by preventing the passage of trucks to Mongolia. 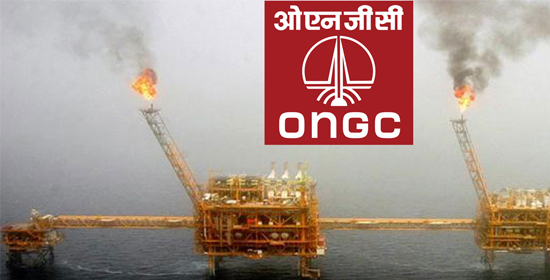 India had extended a helping hand towards Mongolia at that time by providing timely financial assistance. The Khaltmaagiin Battulga government, who opposes the Chinese policies is currently in power in Mongolia. 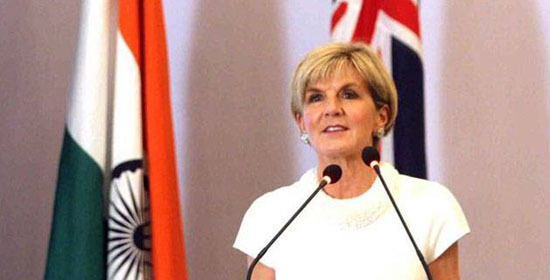 Foreign Minister Swaraj’s visit is considered significant on this background.